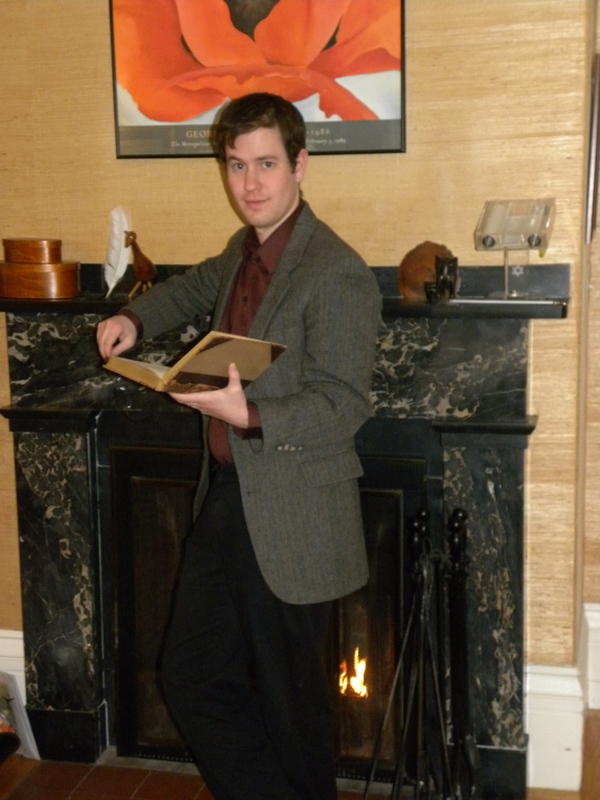 I’m a writer of fantasy, represented by Evan Gregory of the Ethan Ellenberg Literary Agency. I like to write, sing, dance, cook, and eat. I do not generally like to blog. So this site is a bit of an experiment. NS Dolkart is a pen name; you can find the story behind it in the blog archives (It’s in a post helpfully called, “Why N.S. Dolkart?“) or, for the longer, fuller version, scroll past Silent Hall’s cover reveal at the Barnes & Noble Sci-fi and Fantasy Blog. So far, my only published fiction is the Godserfs trilogy. I am currently working on a standalone YA historical fantasy that I’m very excited about. If for some reason you would like to contact me, I can be reached at nsdolkart (at) gmail, etc. You can also follow me on Twitter @N_S_Dolkart, but then you’ll be subject to my political ramblings even more than you are here. My Facebook page is here. Me, circa 2010, being a Very Serious Author.